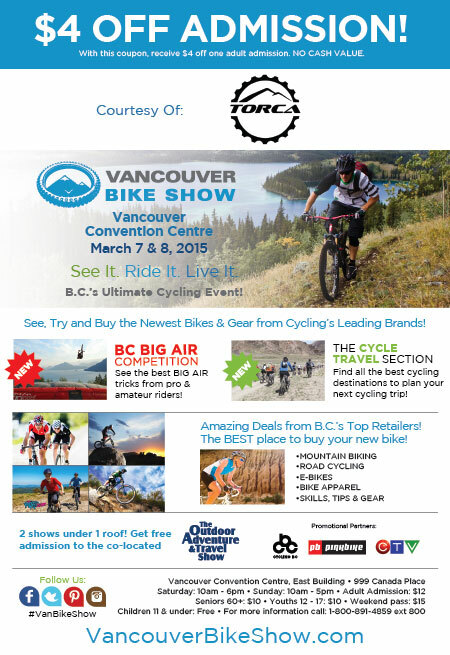 TORCA is going to be at the Vancouver Bike Show March 7th and 8th. Use this coupon to get $4 off your admission. Come find us! We’ll be set up with NSMBA, Surrey Off-Road Cycling Enthusiasts and other MTB advocacy groups.